I have! Though technically I’m still in the same state I have changed residency. I’m actually rooming with other people who are well, strangers, to me for the most part and this has been a huge weight off my shoulders. I get to do what I want within reason, when I need to and so forth. It’s not exactly what I want but at least it’s something. I don’t know. I like knowing I am basically in charge of making my own food (and yes I can cook not that I like to. I mean did anyone ever tell you cooking is time-consuming? When I’m hungry I just want food right there and then) and making sure my laundry is done for the days ahead. It’s great. Like I’m all alone. The apartment closet. It’s pretty barebones but housing in general is expensive so, at least, having a roof over my head is good. And yes, I brought my 7 different pairs of shoes with me and to me that was still too many. But what can I say? It’s hard when it comes to me and my precious shoes. It’s so good I have gone out more lately to check out more of my local Georgia and I have to say it’s not too bad-looking. There are a lot of great paved walkways for pedestrians for myself and it’s been great putting in the effort for walking, though walking a lot does get tiring. And yes, now I see why most people have cars, but but it doesn’t change the fact you can get used to it. Anywho. 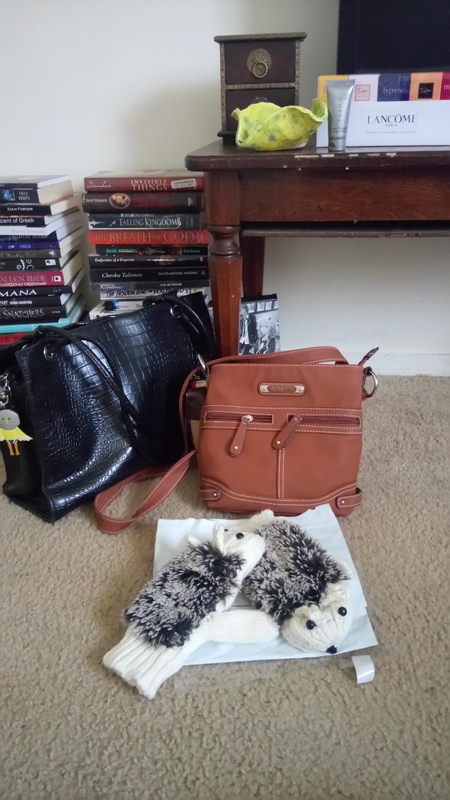 All this has kept me busy so I just haven’t blogged enough if any of you have noticed. And I’m sorry about that! It’s just been a time of settling in but now that Spring is here we’ll have that new anime and you can bet I’ll be blogging my heart out for Attack on Titan Season 2! My gosh, that anime. I’m like too excited! Looks nice enough to me. 😀 Just a little lacking in the furniture area. Also that’s a lot of books, and I like your anime pile. Good luck with your new place! Ha, ha. Yeah I got that too with one of my roommates. “Wow, that’s a lot of books”. Yeah the furniture though I’m thinking on passing on it. 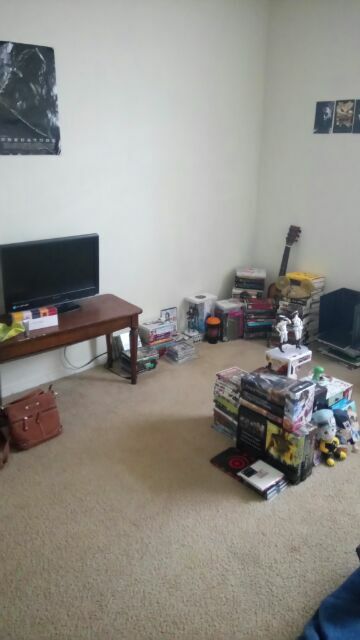 If I had to move and it could be a possibility I would have to lift the heavy furniture pieces. Thanks for stopping by! Oh, you live in Georgia? I live in the same area, 3 hours away from Atlanta though. Hope you get the place setup the way you want. Yep. Not sure? How far from Atlanta but I do know of Atlanta. It gets talked about often as a point of direction by people passing by. And yep, 😉, small world. I’ve been way out of the blogging space recently, but that’ll change soon with the upcoming season. For one, like yourself, I’m excited for AoT 2! Things seem to be in order with the move, so congrats on that. 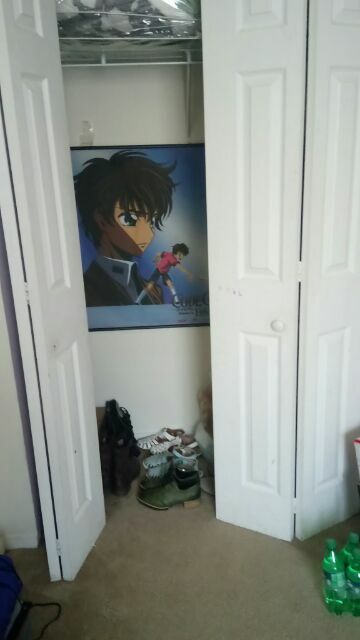 One of these days, Suzaku will finally come out of the closet, heh heh heh.